Reading Fluency with Dolch words. Students are asked to read each word in the word chart. If they can read it they can color in the word box. 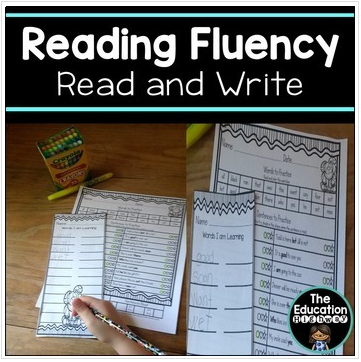 If they need more practice reading without sounding it out, they can add it to their word list to study. Then students are asked to read the sentences. Record the amount words and sentences that were read for each practice try.